U values: What’s up with them? Have you been wondering how U values for windows are calculated? Why do different suppliers and different countries seem to use different numbers to describe U values for windows? This is quite a tricky area. But when you have analysed it, it makes sense. We have produced this article to give some clarity to the subject so that your decisions can be easier. Given that more windows are being exported around the world, the differences between countries needs to be translated and understood. Let’s start by looking at the basics, as getting a handle on the fundamentals is critical. Also, a U value is the opposite of an R value. The R value measures thermal resistance of an element as opposed to its conductivity. Hence, an element’s R value is simply 1/U, and conversely, U = 1/R. It therefore follows that higher R values are better thermal performers. That’s a bit confusing in Australia, because we use U values for windows, and R values for walls and roofs and floors (if you are including insulation in the floor, which in the colder parts of our country, you really should be doing). In Europe, however, they use U values to describe walls as well as windows. How is this different from an SHGC value? Furthermore, a U value is different from an SHGC value. The SHGC (solar heat gain coefficient), or g value measures solar heat gain and is expressed as a percentage. The higher the percentage, the higher the heat gain through the element. In hot parts of the world, you don’t want a high SHGC – you want a lower one. But you also want an effective (lower) U value to stop the heat transferring into the building (and to stop the cool temperatures moving out of the building). A U value must be calculated or assessed for both the window frame as well as the glazing itself. Because a frame is made of different material from glass, two U values must be determined. The frame’s U value is often referred to as the Uf value. The glazing-related value, called the Ug value, relates to the glazing unit part of the window, which includes the glass itself as well as the gaps between the panes (if double or triple glazed). Therefore the goal is to combine the two separate U values (the Uf and the Ug) to determine the U value for the entire window as a whole (or the Uw value). Frames typically provide higher U values – or worse performance – than glazing, particularly if you are looking at double or triple glazing. That means that if you have a small window to calculate, with a Ug of 0.6, the small window will come out with a worse Uw rating (higher U value) than a large window simply because the small window has more frame in proportion to the glass. This is an important point to note because it makes one aware that there is no such thing as a standard U value for a whole window setup (Uw) regardless of its actual size. You will always need to calculated a Uw value for the exact size and shape of the window unit as the proportions between frame (Uf) and glass (Ug) will always change depending on the window’s size and configuration. If you are ordering 10 windows of different sizes, you may end up with 10 different Uw values for your project. This will be the case even though you order the exact same glazing and exact same window frame profiles throughout. The next confusing issue is that of measurement units themselves: imperial vs metric. Australia and Europe follow the metric system. The metric system describes a U value as watts per metre squared multiplied by degrees Kelvin (W/m²K). In reality, the U values in most European windows are lower (higher performing) than Australian windows because the construction standards are higher. The U.S. uses Imperial measurements, and this can certainly confuse the rest of the world. Indeed, one green building journalist in the U.S. made a classic error in reading about the U values in our Superpod® certified passive house. He first wrote that he could not understand how a certified Passive House could be high performing with such thin insulation. He had misunderstood the differences between Europe and the U.S. We had to write to him to explain it! European U values are not the same as U.S. values, and he had failed to see this issue and make the proper conversions. You can read a detailed review of the U.S. vs EU standards in the paper International Window Standards, Final Report/April 2014. The publisher of this report is the Homeowner Protection Office, a branch of BC Housing. The author is RDH Building Engineering Ltd in Canada. The paper says that “there is no straightforward way to compare North American and European product performance.” It reviews in great detail the differences between window rating systems in North America, Europe, and for passive house. If you’re interested, you can read the paper here. The mathematics behind U values can get quite complicated. Suffice it to say that there is a rule of thumb for converting metric and imperial U values, and that is to divide the metric U value by 5.6783, in order to get the imperial equivalent. This means that a U value of 1 in the EU will be (roughly) equivalent to a U value of 0.174 in the US – assuming the same testing methodology for that window. Let’s now consider that last point regarding testing methodologies. WERS is a voluntary window organisation in Australia (the Window Energy Rating Scheme). The Australian Window Association (AWA) runs the WERS. If you are a member of the AWA, you can participate in WERS, and you can see WERS ratings for different window companies specified on their website. In a similar way, European window testing uses European standards. For a certified passive house, your windows must be accompanied with a certificate to the EN Standard. EN Standards are documents that have been ratified by a European Standardisation Organisation for the purposes of EU Regulation. There are also DIN standards in play throughout Germany. There are literally thousands of EN standards for all sorts of things. The standards range from cork floor testing to electromagnetic compatability emissions standards for industrial environments. The US has its own standards and compliance testing facilities. As noted above, most Australian windows have higher U values than European windows because of the different materials used. This in turn is partly due to more stringent legal requirements. Germany, for example, has mandated low U values for some time (generally under Uw 2). But there’s another thing: watch out for the claims of the particular company. If a window company says that all their windows have Uw values equal to 3, they are not providing accurate or practically useful information. There would be different Uw values depending on the actual size and configuration of each and every window. Some people looking for windows are hoping to build a certified passive house. It is certainly worth designing and building your building to this standard. If you want your house to be certified, you must comply with a detailed building physics program. This program, the PHPP (the Passive House Planning Package), is complex and comprehensive. The PHPP requires proper EN standard compliance regarding U value reporting, and checks the sizes of each window carefully. Consequently, the passive house program requires the separate nomination of specific Ug and Uf values. If you really want to model the heat loss of any window, you need to calculate the heat loss properly. That means you need to assess the size and shape of the glass as well as the frame. Also, U values say nothing about the installation methods, air leakage, quality of production, or tolerances. How many of us have watched those “Grand Designs” episodes where the windows are 10 millimetres out? Your window should fit. 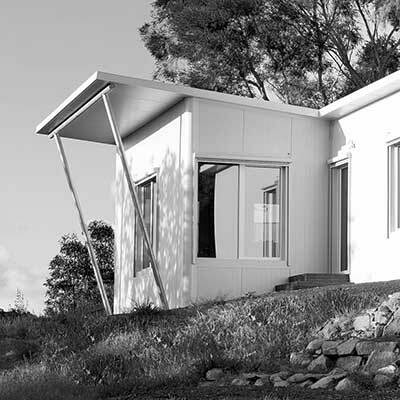 In Australia, our building code tolerances allow for things that are just not good enough for high performance. So there is much to watch out for. We need to understand what suppliers are claiming when they bandy about various numbers, ratios or percentages. Then we will know better what suppliers are asking us to assume. That will help us choose the right windows for our next project.